The Rising Star Will Sponsor an Indie Film’s Theatrical Release. 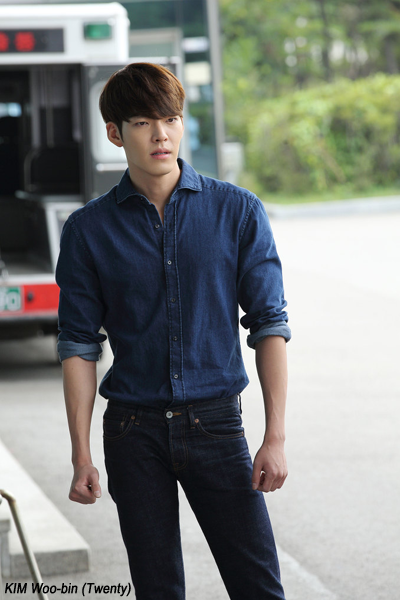 Actor KIM Woo-bin has been appointed as a promotional ambassador of CJ CGV’s arthouse exhibition chain CGV ARTHOUSE. As the first part of CGV ARTHOUSE's new campaign, CGV will screen a promotion video starring KIM on its screens, ticket sales machines, and Facebook. KIM is one of the most widely recognized young stars of Korea, expanding his fan base to Asia. It is expected that his popularity will make a major contribution in attracting people to watch arthouse indie films. It is known that KIM decided to join CGV ARTHOUSE's new campaign for free, in order to show his support for independent films. Considering the high popularity of the rising star, it is considered rare. KIM will donate hundreds of books to CGV Cine Library, and sponsor an independent film for its theatrical release. KIM said on 2 September, "The originality and passion of independent films give tremendous amount of motivation to many actors and actresses. I hope that Korean independent films are better attended and received." "We believe that KIM Woo-bin's participation in our campaign will bring a synergy effect. We hope that more and more people would start getting interested in arthouse and/or independent films,” says CGV ARTHOUSE on a statement. In order to support and facilitate the growth of independent films in Korea, CGV ARTHOUSE was first established in October 2004. It was originally named CGV Movie Collage, and celebrating the 10th anniversary, it changed its name to CGV ARTHOUSE last year. CGV is currently operating twenty-two auditoriums for independent films in the country. [News] Will CJ CGV Expand to Russia?